So…has this been confirmed by Lucasfilm? No, Lucasfilm has yet to release a statement confirming this news. However, this is more than a simple internet rumor. I can start one of those. A Porkins standalone film is in development. ABC is planning a reboot of The Golden Girls starring Ackmena, Maz Kanata, Jocasta Nu, and Jira the fruit lady form The Phantom Menace. See? It’s easy. In contrast, The Hollywood Reporter would only release this information if they were positive that the film is in some stage of development. As they mention in their report, the film is in the earliest stages of development so it makes sense that Lucasfilm wouldn’t want to announce it yet. According to The Hollywood Reporter, Oscar and Emmy nominee Stephen Daldry is in early talks to direct the film. There is no script, but apparently the plan is for Daldry to oversee the writing with Lucasfilm. Daldry is known for directing films such as Billy Elliot, The Reader, and The Hours. In addition, Daldry directed several episodes of the critically acclaimed Netflix series The Crown and is an executive producer on the series. Daldry is a talented filmmaker and would be a unique choice to helm a Star Wars film. Daldry’s filmography doesn’t exactly make him an obvious choice to direct a Star Wars film, but fresh voices are exactly what will keep this franchise going creatively. Because there is no script at this time, no actors are attached to the project. Although, it seems likely that Ewan McGregor would return to play Obi-Wan. He has frequently said that he would be interested in returning to Star Wars. Needless to say, it would be foolish to pursue this project without Ewan McGregor. Ever since Lucasfilm announced their intentions to produce standalone films set in the Star Wars universe separate from the proper saga films, a lot fans have been asking for a film focusing on Ewan McGregor’s Obi-Wan Kenobi and the period of his life during the years between Revenge of the Sith and A New Hope. Personally, I always thought an Obi-Wan film staring McGregor was the obvious and most natural choice out of all of the potential ideas we’ve heard for the standalone films. It is certainly a better idea than the already in-production Han Solo film, which I still maintain is a fundamentally misguided idea. 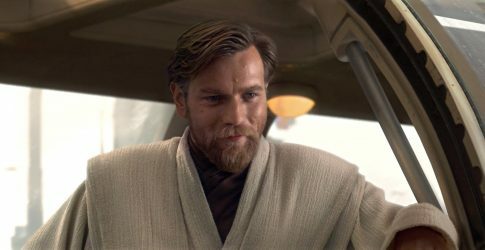 Now the question is, what do you want to see from an Obi-Wan Kenobi movie? For me, I hope it will be a more intimate and introspective story and that they keep the scale relatively small. If the film is indeed set on Tatooine, then I would expect it to take visual cues from various westerns. 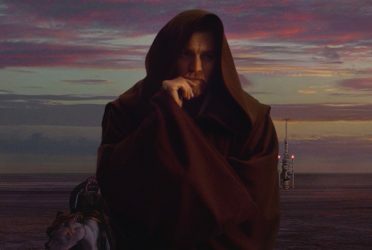 Sweeping shots of the seemingly endless deserts of Tatooine would only highlight Kenobi’s isolation, which I would expect to be a major theme of the film. In addition, I hope Qui-Gon Jinn plays an important role in the film and that we see Obi-Wan communicating with and learning from Qui-Gon. This film is great opportunity to further explore the Force and Qui-Gon’s role in the saga. Liam Neeson already returned to voice Qui-Gon in Star Wars: The Clone Wars and has spoken fondly of his time in Star Wars, so I don’t think he would turn down a chance to reprise his role. I would not be surprised to see Joel Edgerton, who has had a productive and interesting post Star Wars career, return to the role of Owen Lars. As for potential villains, it could be an entirely new character or a familiar face such as Jabba the Hutt, Boba Fett, Hondo Ohnaka, or Cad Bane. Just keep Darth Vader and the Empire away from this film. That’s my pitch, a mystical western with Obi-Wan, Force Ghost Qui-Gon, Owen Lars, and the best scum and villainy Tatooine has to offer. What do you want to see? What does the future hold for the standalone films? Although the Obi-Wan news grabbed all of the headlines, The Hollywood Reporter’s article also revealed that Lucasfilm is considering films focusing on Yoda and Boba Fett. In addition, Variety’s report divulged the news that a Jabba the Hutt story is also being considered. All three ideas have potential, but they could go wrong very easily. A Boba Fett film has been rumored for awhile now, and it is believed that was the film Josh Trank was initially brought on board to make. Boba Fett didn’t have much to do in the films, so he’s something of blank slate when compared to characters like Han Solo and Obi-Wan. If they find the right creative team, a Boba Fett movie could be a home run. Yoda’s long life offers plenty of storytelling opportunities, so a Yoda standalone film isn’t an inherently bad idea but it would be the easiest one to mess up. A Yoda “origin story” wouldn’t be the way to go in my opinion, but a non-origin story Yoda film set before the events of the prequel trilogy? That has potential and would open up a whole new era of Star Wars, which would be refreshing given Disney’s reluctance to move away from the Original Trilogy era with these films. The potential Jabba the Hutt story is the most surprising though. 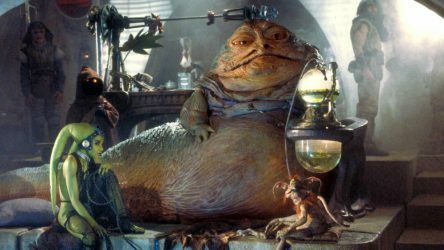 Jabba’s grotesque appearance, status as a ruthless crime lord, and inability to speak English doesn’t exactly lend itself to the typical Disney marketing campaign and filmmaking style. That’s fine by me though. These standalone films should be the place to experiment and push the boundaries of the saga. Interestingly, renowned director Guillermo del Toro expressed his desire to make a film that depicted Jabba’s rise to power in the vein of The Godfather during an interview with Yahoo. Mixing the established visual language of Star Wars with Guillermo del Toro’s own unique style would at the very least be interesting. So, if all of these rumored projects pan out then we will have Rogue One and films centered on Han Solo, Obi-Wan, Boba Fett, Yoda, and Jabba the Hutt. Although all of those ideas have potential, I would prefer them to go the Rogue One route instead of just doing character specific stories. What do you think? Do any of these potential films excite you? What would be your dream Star Wars standalone film(s)? Let us know!